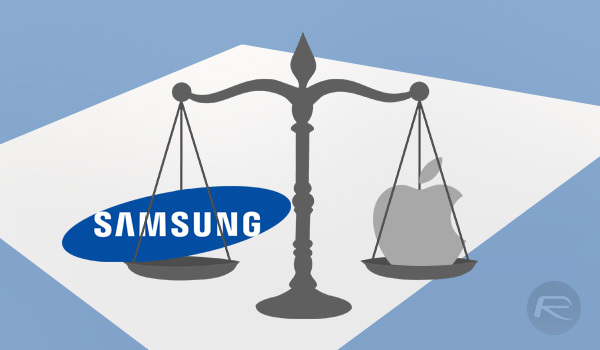 It’s taken six whole years, but both Samsung and Apple will be able to take their case over similarities between the pair’s smartphones to the United States Supreme Court on Tuesday, October 11. Depending on the outcome, over half a billion dollars are at stake, with Apple claiming that Samsung violated its patents with regards to smartphone design. For those wondering where the sum comes from, or how it was determined, that sum is apparently derived from Samsung’s total profit from sales of the 11 disputed smartphones targeted by Apple in the trial. 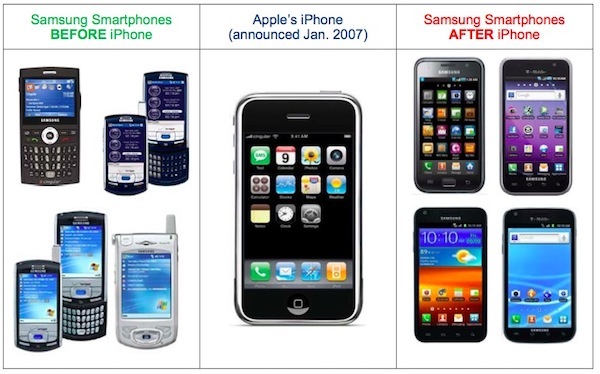 Samsung predictably says the possible fine is disproportionate to the claims Apple is making about smartphone design similarities between products the pair sold six years ago, but that is not stopping Apple from forging ahead. Apple believes Samsung infringed upon its patents that cover “the rounded corners of its phones, the rim that surrounds the front face and the grid of icons that users view.” Samsung, as you might expect, disagrees and believes that the sums of money at play here are incorrectly calculated, suggesting that it is akin to fining a car company for the entire cost of a car range even though they only infringed upon a patent for a cup-holder. Apple, however, sees things differently. In urging the Supreme Court to take up the appeal, Samsung said the ruling was akin to awarding the entire profits on a car because of an infringing cup-holder. Apple rejects that analogy, saying that its patented features are more like the design of the entire car. This is the first time in 120 years that the Supreme Court has faced examination of a design patent dispute, so this whole thing will be a relatively unique affair for all those involved. We somehow doubt that all parties will enjoy that common thread amongst them all. Samsung are thieving dogs, crush them! These lawsuits just make you want to buy a Samsung phone just to teach Apple a lesson that if you made the tire than of course it has to be round. Cars aren’t made by just one company so why does Apple think they are the only ones who can make computers. Apple did a similar BS thing to Microsoft in the 90s; they failed miserably and then almost disappeared. Rounded corners? Such a joke. Hmm, we don’t talk about tire here, it’s smartphone. Tire need to be round to function, smartphone not. Samsung can make the bezel in a slightly different way without copying iPhone design and getting the same functioning smartphone. Look at Samsung phones before, they are more than capable to make a creative design. They choose not to do so..
Before iPhone, world have a more distinguishable shape smartphone. Nokia proof it with his phone designs. I respect Nokia for that unique design, I have some Nokia phones like 3310, 3650, 6600, N96, and N8. N8 (released 2010) also proof you can make keypad less smartphone without copying iPhone looks and feel. The same thing you want to teach Apple is what we NEED to teach Samsung too. This is to set the precedent, I think the judge think this way too: If a big company can purposely copy other company works and run free without penalty after a long court battle, especially after the product out of the market, what stopping another company to follow this example and exploit the hole? What if a big company copy from a little company? The little one will definitely go bankrupt before they can finish this years long court battle. “Hey, let’s copy that famous thing, we’ll gain profit for years, and we know the court battle will take a long time, we can even purposely delay it for years. Even if we loss at the end, we already gain BIG profit to cover it, alas the damage has been done! Let’s repeat again for another famous thing, we can use this hole again and again!”. Still hard to imagine? Imagine this: what will you feel if Apple use Edge screen like Galaxy S7 Edge now? It’s the same, can’t apple have curved display? Apple doesn’t need a curved display they need edge to edge glass and remember that Steve job started this Patent war because he’s a smart business man who wanted to be the only company that sold a rounded touch screen smartphone forever. That didn’t stop Microsoft and that won’t stop Samsung. Okay. I think it’s pointless to explain more than that.. If Apple start copying Samsung so blatantly, I’ll say the same, it’s wrong. Will you support Apple if the situation reversed? If not, you’re clearly in Samsung side whatever they do. LCfer have fun defending apple i was an Apple Fan but not anymore thanks to it being Made in China. Now that i think about it every smart phone I see is pretty much a candy bar shape with touch screens and icons just like the iPhone…. Conspiracy against apple? They did after all design all modern technology and they fart rainbows. Anything to do with a smartphone. Yeah, where are Microsoft’s smartphone? It’s”is”, not “are”, Mr Grammar Policeman.